The major factors significantly (P < 0.05) associated with mortality for potentially large numbers of calves included the specific production environment represented by site-year, low calf birthweight (more so than high birthweight) and horn status at branding. Almost all calf deaths post-branding (assessed from n = 8348 calves) occurred in calves that were dehorned, totaling 2.1% of dehorned calves and 15.9% of all calf deaths recorded. 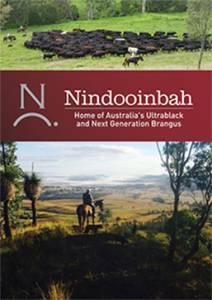 A Cooperative Research Centre for Beef Genetic Technologies, Armidale, NSW 2351, Australia. B Animal Genetics and Breeding Unit1, University of New England, Armidale, NSW 2351, Australia. C Queensland Department of Primary Industries and Fisheries, Charters Towers, Qld 4820, Australia.